Oh, this makeover has been a long time coming as we say here in the south. I have been begging Cam to let me makeover his room for years! He has always been so resistant to letting me in his space. I mean, he’s a teenager after all. I think when boys become teenagers, they feel a need to make a space their own. So, that is exactly what I let him do. 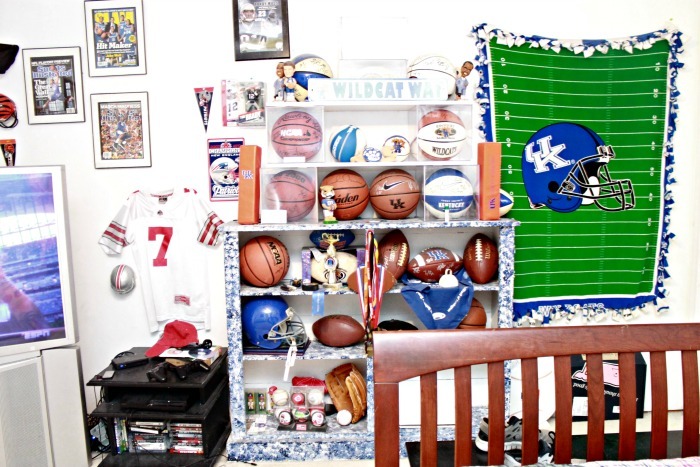 He has a rather large room and a love of all sports, so I just let him have at it. And boy, did he. He made his room so boyish that it was almost painful for me to go in there…which is exactly what I think he was trying to accomplish. Well played, Cam. Well played. Cam is now 15 and constantly has friends over to hang out or stay the night, so when I lightly suggested that it would be really cool to turn his room into a bedroom/cool hangout, he finally budged. I told him that he would be able to help choose the items and color scheme for his room, and promised him a cool sitting area with where he and his friends could hang out…and he has given me the green light. Well played, Mom! 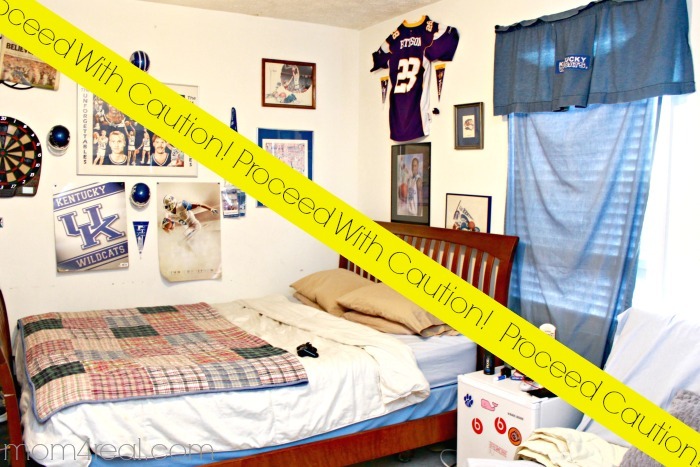 Then I thought…wouldn’t it be cool to be able to show you different ways to change the look of a teen boy’s room? 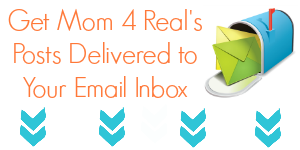 I called my good friend Shannon from Fox Hollow Cottage and asked if she would want to join me on this adventure since she has a teenage boy as well, and she was totally in! So, she and I along with our amazing sons and the help of 55 Downing Street are going to go on this teen boy’s bedroom makeover adventure together, and we hope you will come along with us! We really hope that we can show you some simple steps to really change the look of your teen boy’s room! This shelf is awesome as far as functionality and is ridiculously sturdy…plus, it was given to us by one of our best friends from college, Kenny. It used to be white, but for some odd reason, when Cam was 2, I decided to sponge paint it. I thought it was so cute…what was I thinking? The shelf will be staying, but only after I paint it and we get rid of some of the clutter. We aren’t even going to talk about the fleece blanket on the wall are we? I really rather not…it’s just hmmm… not good. Lighting…this was a tricky subject for us. Cam doesn’t want lamps sitting around on tables. I’m actually cool with that since I know that there will still be basketball shooting and boys are just clumsy. No broken lamps needed here. 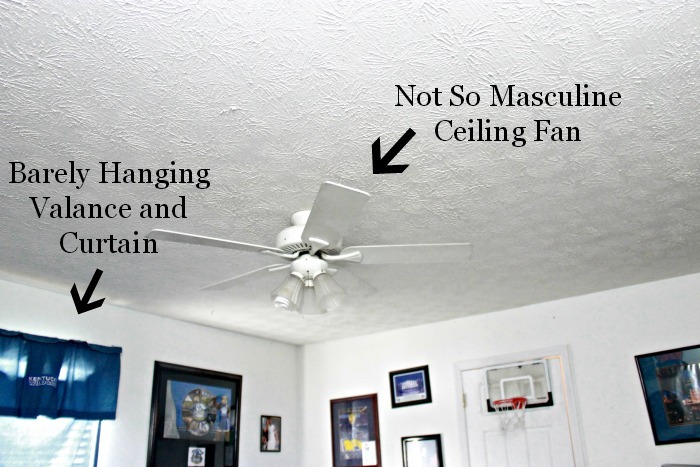 So, we will be upgrading the ceiling fan to a more masculine model. I normally do not love a ceiling fan in a bedroom, but this is a dude’s room, and it gets hot upstairs. Curtains…still not sure what we are going to do here, but the UK valance and one panel stretching across the window have got to go. We will be shopping for something masculine with clean lines. No more valances. This is more like it. Clean lines, fluffy bedding, masculine, sports themed and just peaceful. This is what I want for Cam’s room…plus the hangout spot for he and his friends. We are going to be going a little in this direction, but toned down a bit. Cam is not a huge fan of rustic, he definitely leans more towards traditional. We will be starting with bedding…I absolutely love this bedding from 55 Downing Street! It’s not necessarily the color scheme we are going for, but I love the plaid, and it just makes me want to crawl in and take a nap. Bedding is one of my favorite things, and I want Cam’s space to be comfortable as well as functioinal. This is where I always start when putting a room together. He will also need a tv stand. I would like to have his tv, Playstation and games all tucked away nicely with cords hidden and games hidden too. 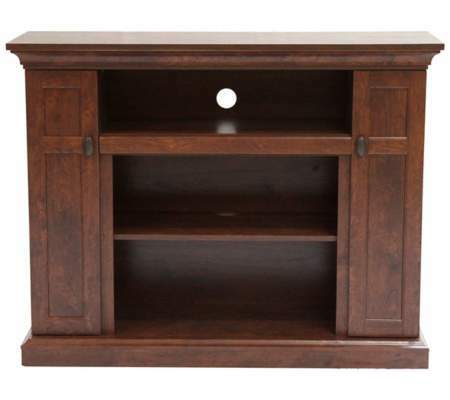 I love this Dark Walnut TV Stand. I’m not sure it is the one we will go with, but love the color and functionality. Since we will be keeping his Ethan Allen bed, I definitely want to keep the other wood tones in the room the same. I also want to choose pieces that he can take with him in a few years when he goes to college. He will also need a seating option. We thought about going with two club chairs, but really need something to work as another sleeping area. So, a couch it is. Something comfortable and masculine. 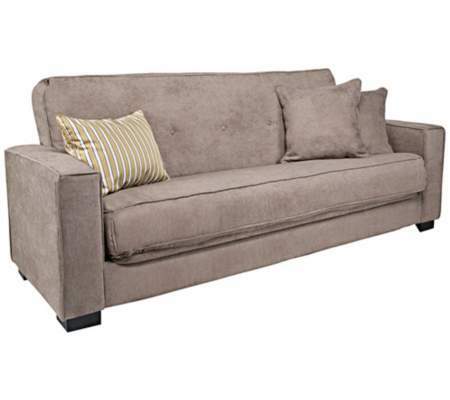 I love this fabulous Grey Couch…it’s affordable and is also a sleeper sofa! For the lighting, he wants something sleek and silver. 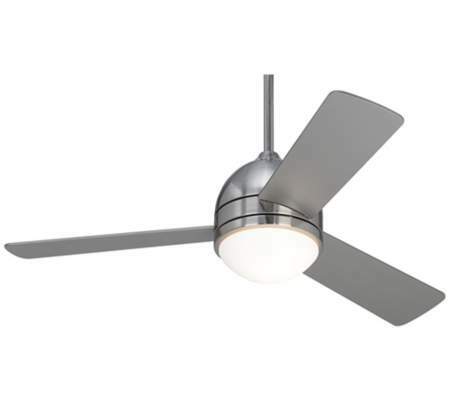 Isn’t this Trifecta Ceiling Fan the coolest? It’s sleek, masculine and functional! 55 Downing Street really does have some of the coolest furniture, lighting and home decor at reasonable prices, and we cannot wait to pick out our favorites, redecorate our boy’s rooms and hopefully inspire you to do the same! Ha! Your sponge painting is about as bad as “The Two Towers” I tired to fit in Austin’s room! Cam has such a great space to work in, I know it’s going to look SO good when you two are done. These are some lucky boys!! They deserve it though. They are good kids :) We are lucky moms!! 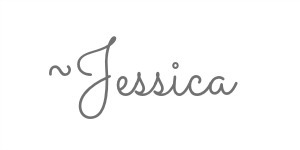 How awesome Jessica! how fun you and Shannon able to do this together. Can’t wait to see it. I see lots and lots of potential! 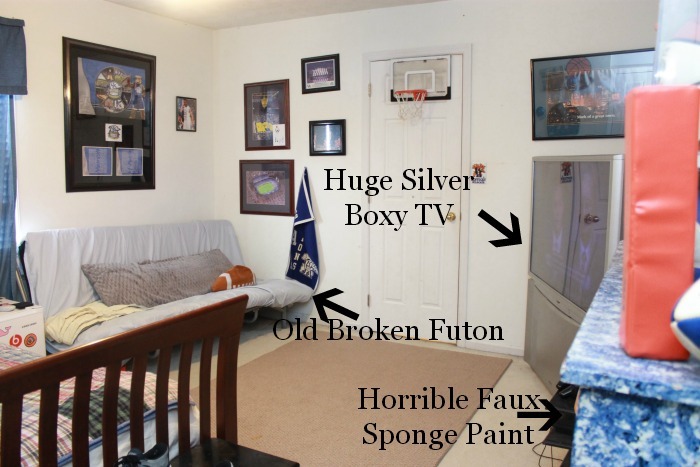 But, that sponge painted dresser…yikes!!! Yes please, get rid of that!